I meant to write a review of The Real Jane Austen: A Life in Small Things by Paula Byrne in February shortly after the book came out, but life intervened – life in the form of visitors, a busy schedule at work and move to new offices, a bum knee that required an operation and recuperation, and the book itself, which – several pages into it – urged me to read it to the last before recommending it (or not) to others. I carried the book every day to work hoping to complete it during lunch, but my best laid plans were inevitably derailed. In addition to this blog and my interest in Jane Austen and the world she lived in, I have been reading other authors: Virginia Woolf, F. Scott Fitzgerald and Georgette Heyer, to name a few. David Stockman’s The Great Deformation, a great big bear of a book that holds economic insights that will chill the confidence of avid savers like myself, is my most recent acquisition. And then there’s Netflix. I admit to being a serial viewer of series that I missed seeing: The West Wing, for example, The Walking Dead, and now 30 Rock. Warmer weather now pulls me to spring gardening and walking in the great outdoors. The real life of Vic Sanborn has been getting in the way of her quest to know more about the real Jane Austen, which is why this blog’s entries have been so spare of late and why I took so long to finish Paula Byrne’s book. Not that I didn’t enjoy it. This image of my copy of The Real Jane Austen will tell you all. One would think that as a devoted Janeite who has read almost all the major biographies and articles about Jane, plus her books and letters and a great number of sequels about her novels and life, that I would have my fill of reading about Miss Austen. But I haven’t. One acquaintance asked me how I could continue reading books that, on the surface, seemed all so similar. It’s simple, really. I rarely tire of talking about Jane and her works. I love the conversations in our book group. I enjoy attending conferences and meetings about her, listening to Janeite scholars and reading the insights of other bloggers who bring their own unique perspectives to her life and work. No matter how much I learn, I am still eager to know more. Just a slightly different take on her life and novels will provide me with new insights that spur me to uncovering more information. Full-fledged Janeite that I am, I can now publicly confess: I am dotty about Jane Austen and crazy about the Regency era. I frankly did not think I would like this book, my preconception coming from the blitz of publicity last year about the lost image of Jane Austen that Paula Byrne discovered. (I much prefer Cassandra’s tiny amateurish watercolour, which I viewed at the National Portrait Gallery.) When I received the book for review, I was mightily sick of the hoopla surrounding the portrait and began reading Dr. Byrne’s biography with some skepticism. Imagine my joy when the book held my interest from the start. 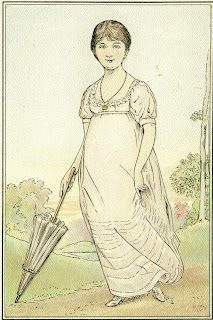 My preferred image of Jane Austen painted by Cassandra Austen. Image @National Portrait Gallery. The Real Jane Austen focuses on specific objects, like the topaz crosses that Jane and her sister Cassandra received from their brother Charles. The conversation segued into a discussion of Charles and Frank Austen’s careers in the Royal Navy, and the lives of sailors in general, including that of William Price in Mansfield Park and those of the sailors in Persuasion. Details of letters and visits home flesh out our knowledge of Jane’s relationship with her brothers, as well as the background for some of the characters in her novels. 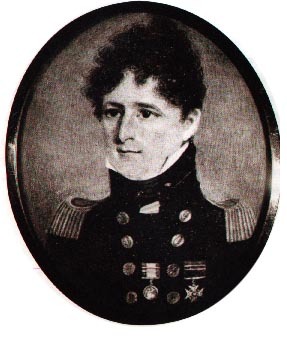 While life on board ship was harsh, a career in the navy was one way in which the Austen men could seek their fortune through promotions and the spoils of war. At the tender age of eighteen, Frank obtained his lieutenant’s commission. Janeites who have read Jane Austen’s Sailor Brothers by John Henry Hubback, Edith C. Hubback, J.H. Hubback would already know many of these sailor details, but they are new for many. Dr. Byrne threads the influences in Jane’s life in such a way that a seasoned Janeite is happily reminded of well-known facts and a new reader is introduced to them in the context of Jane’s life, her letters and novels, and her influences. We learn that Jane, while a doting aunt, viewed children much as she did adults – some were simply easier to like than others. 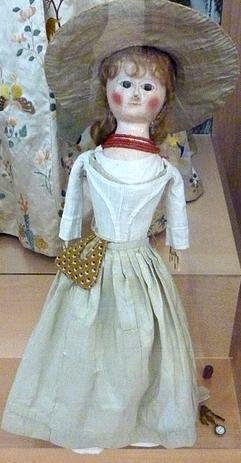 Her observation of Anna Lefroy’s girls is not unlike one that I can make of my family members, including myself: “Jemima has a very irritable bad Temper (her Mother says so) – and Julia a very sweet one, always pleased and happy.” Jane fondly thought about her fictional characters and how their lives would unfold, telling her relatives the details of Jane Fairfax’s and Kitty Bennet’s futures, for example – details that we Janeites crave. There are other pleasant tidbits, of which I shall name a few. 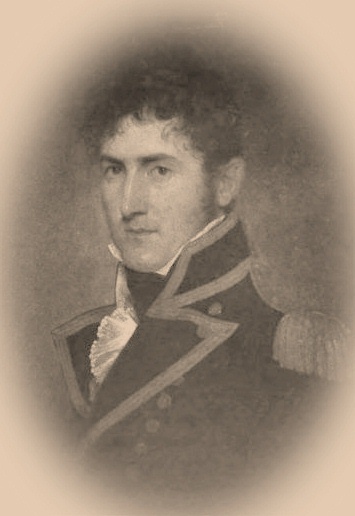 They include Tom Fowle’s letter to Cassandra, her fiance who tragically died at sea before he could afford to wed her; Cassandra’s deep romantic nature and her humorous side; the fact that Elizabeth Bridges preferred Cassandra over Jane, whom she did not like; details of Jane’s travels in an age when 90% of the populace sojourned only a few miles from their own community (This proves her to be less provincial than the myth of the isolated, rural spinster); Jane’s knowledge of the larger world, including the Napoleonic wars, slave and opium trades, and life at sea; that serious Frank Austen lacked a sense of humor but that he was quite generous towards the Austen women after Rev. George Austen’s death; and that Henry, Jane’s favorite brother called his sisters and mother “The Dear Trio”. 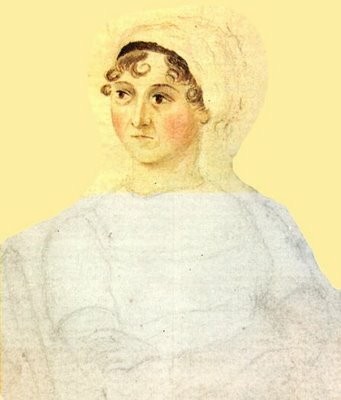 Many of these details are well-known to those of us who have researched Jane’s life for a number of years, but their presentation is delivered in a unique package that ties biographical influences to key moments and objects, and that weaves a view of Jane Austen which is both personal and well-researched. Unlike dry scholarly endeavors, filled with footnotes and references and a dense academic tone, Byrne keeps her wide readership in mind with a writing style that is relaxed and quite readable. There are just enough images to add another layer of depth to our reading experience. 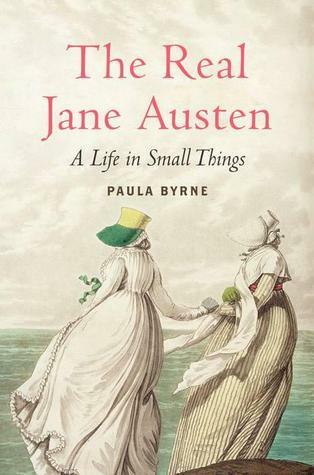 I recommend The Real Jane Austen: A Life in Small Things highly to readers who are new to Jane Austen’s life and times, as well as to committed Janeites who simply cannot read enough about their favorite author. I imagine there will be some Janeites who will find this biography somewhat repetitive – I am not one of those. 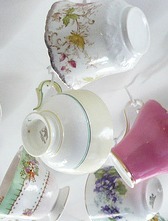 My rating is five out of five regency teacups. Celebrating Pride and Prejudice: Jane in the firmament of superstars. Gentle readers, this year marks the 200th anniversary of Pride and Prejudice. 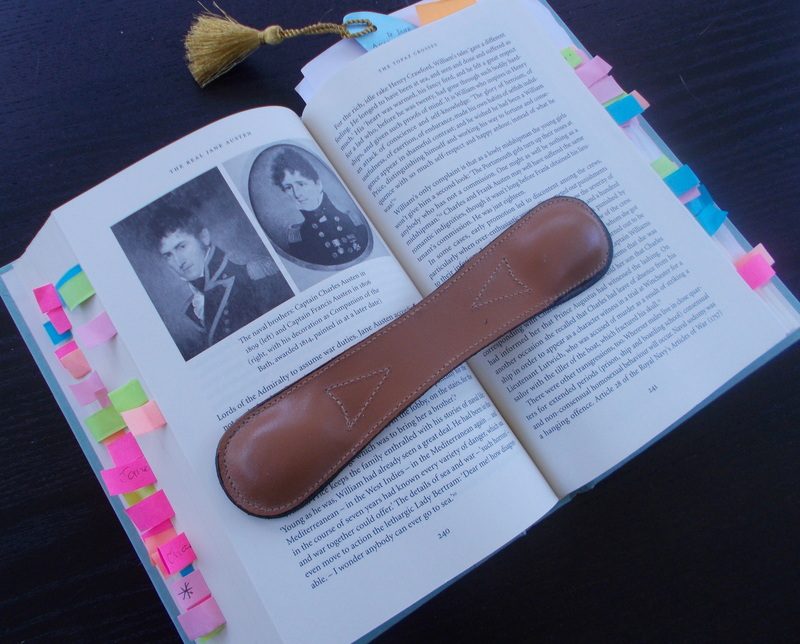 This blog will feature a variety of posts about the novel and on its author, Jane Austen. Frequent contributor, Tony Grant (London Calling) recently visited the National Portrait Gallery in London and viewed the small watercolour portrait of her painted by Cassandra Austen. In this tribute, Tony demonstrates her star status among other literary superstars. If you enter the National Portrait Gallery as you walk into the main atrium go up the tall escalator on the left and you come to a foyer area at the top off which there are entrances into two main galleries. On the right is the wonderful gallery displaying the powerfully evocative Tudor monarchs and their statesmen. On the left are the 18th and 19th century galleries portraying the politicians, monarchs, reformers and writers of that period. 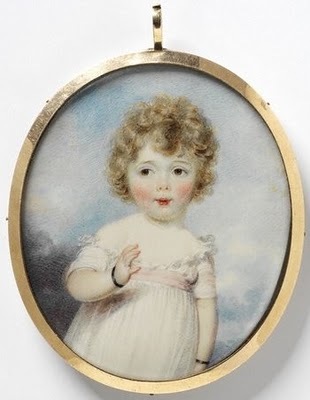 It is here , many of you will know, is the tiny portrait of Jane Austen attributed to her sister Cassandra and drawn in 1810 using pencil and watercolours. It is an unprepossessing little picture. It’s great worth is in who it is. But, if you stand back from the plinth with the perspex box on its summit containing Jane and view the whole vista you will notice that Jane is surrounded by a halo of super star writers. She is the centre of the group. Bottom left is Sir Walter Scott. Moving clockwise next comes Samuel Taylor Coleridge, at the top is John Keats and then as you move down right of Jane, Robert Southey follows and last, bottom right, is Robert Burns. Quite a group, and there she is in the middle, our Jane. If you think I am imagining the halo metaphor, walk behind the plinth with Jane displayed and you will notice that there is nothing on the wall, there is a space. The halo metaphor works. The only thing behind Jane is a handwritten catalogue number on the back of the portrait itself. It reads; “NPG 360, Jane Austen.” It’s written in pencil in a reasonably legible hand. A scrawled note such as somebody might write as a memo to themselves on a post it and stick on their fridge door. All of these writers were geniuses and there is Jane right at their centre. The men were all Romantics. Jane perhaps ridiculed some aspects of Romanticism in Northanger Abbey but she wrote about romance and its vicissitudes. The men wrote about their emotional response to the world. Jane did not portray her own emotions, just the emotions of her characters. Sir Walter Scott (1771-1832) painted by Sir Edwin Landseer. Many of Scott’s novels harked back to a supposed ideal period , the Middle Ages, when chivalry was the moral high ground for men and women fitted into the system as perfect idols worshipped by men. However this was for the aristocracy. Serfdom was really slavery. Serfs were possessions. Scott wrote in Ivanhoe and Quentin Durward and novels such as those about this ideal dreamlike world. It was the ultimate escapism. Samuel Taylor Coleridge (1772-1834) painted by Peter Van Dyke. Samuel Taylor Coleridge was a friend of William Wordsworth and his sister Dorothy. They promoted Romanticism together which added a more emotional and personal response to the world in addition to the ways of thinking the Age of Enlightenment promoted. 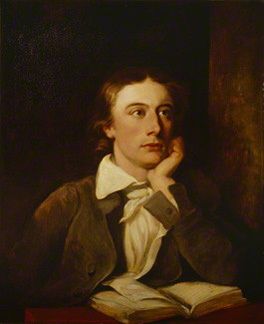 John Keats died of tuberculosis in Rome in February 1821. Joseph Severn, the portrait artist was his best friend and was with him in Rome when he died. Keats was another Romantic poet. When he first started publishing his poetry he was heavily criticised in Blackwood’s Magazine. Those with invested interests in the status quo and couldn’t think imaginatively beyond what they knew, seemed hell-bent on preventing the human race from progressing. It was ever thus. Robert Southey(1774 -1843) painted by Peter Van Dyke. 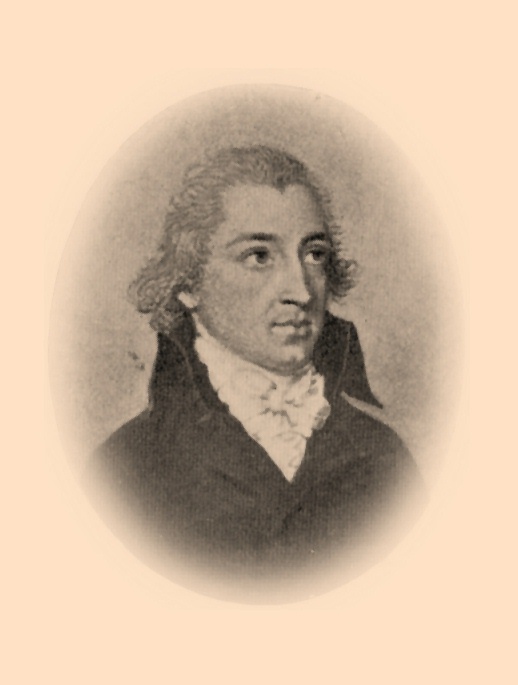 Robert Southey was another of the Romantic poets. He lived in the lakes with Wordsworth and Coleridge and is generally known as one of the Lakeland poets. He is now considered a lesser poet than either Wordsworth or Coleridge. In 1813 he became the poet laureate and Byron lambasted him for this. 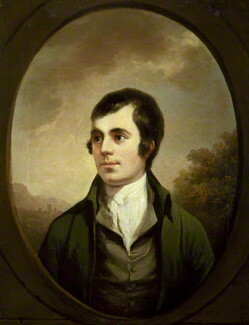 Robert Burns is a Scottish national hero. Websites dedicated to him use his name, his picture and his poems in an unashamedly mercenary way. He is probably the most marketed writer in this group and a real money spinner for the Scottish economy. He was actually a great poet it is sometimes worth stopping and remembering. What can be difficult for many readers is the Scottish dialect and use of colloquial phrases in his poems. His poetry is worth spending time with. They require deep emotional investment. They are rich with feelings and emotions. He was a romantic poet more by inclination than belief. It was just him, the way he was. However, the last lines of the penultimate chapter of Pride and Prejudice are also worth considering and shed light on Elizabeth and Fitzwilliam Darcy in particular. New Portrait of Jane Austen? Let’s face it. 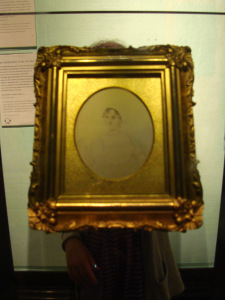 Cassandra Austen’s tiny watercolour of her famous sister simply does not satisfy viewers. Jane Austen’s fans have been dying to find another authentic portrait of their favorite author. Has Dr. Paula Byrne accomplished this task? The Guardian.UK features an article with an imaginary portrait that Dr. Byrne believes was drawn from life. 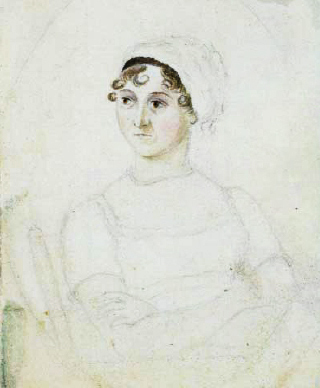 The portrait drawing, in graphite on vellum, had been in a private collection for years, and was being auctioned as an “imaginary portrait” of Austen, with “Miss Jane Austin” written on the back. “When my husband bought it he thought it was a reasonable portrait of a nice lady writer, but I instantly had a visceral reaction to it. I thought it looks like her family. I recognised the Austen nose, to be honest, I thought it was so striking, so familiar,” Byrne told the Guardian. Compare this portrait with images of Jane’s family and of Jane herself. During the latter half of the 18th century, all but a handful of births occurred in the home, but by 1775, the practice of midwifery had changed. Physicians were rapidly taking over obstetrics, replacing the midwive and relegating her to work with only the lower classes or those who lived in areas where a doctor or even an apothecary were not available. In fact, many women of that era gave birth without the services of a doctor or midwife. 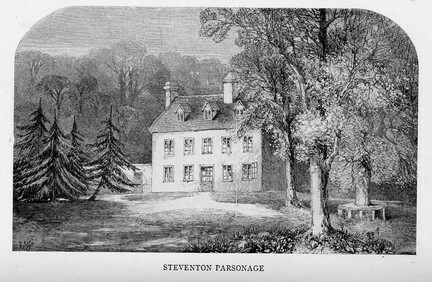 Steventon Rectory, the Austen family home, lay seven miles away from the nearest village of Basingstoke, and so on the eventful night that baby Jane was born, the Austen family did not bother to summon a physician. Mrs. Austen gave birth to her second daughter in her own bedroom. She was attended, I surmise, by female friends and family members, such as her sister-in-law, Philadelphia, which was the tradition of the time. As a matter of course (and sisterhood), female friends and relatives helped to assist in the birth. In England, women who lay in bed while giving birth would lie in a Sims position, or on the side with their knees curled up. One historical source speculated that having a baby in bed could be a messy event and doubted that many women before the age of plastic would risk sullying their sheets and precious feather mattresses by remaining in bed during the final stages of the birth process. This made sense to me, and so I searched for alternate images. Birthing stools or chairs with sloping backs, which allowed gravity to help pull the baby through the birth canal, had been used for centuries. 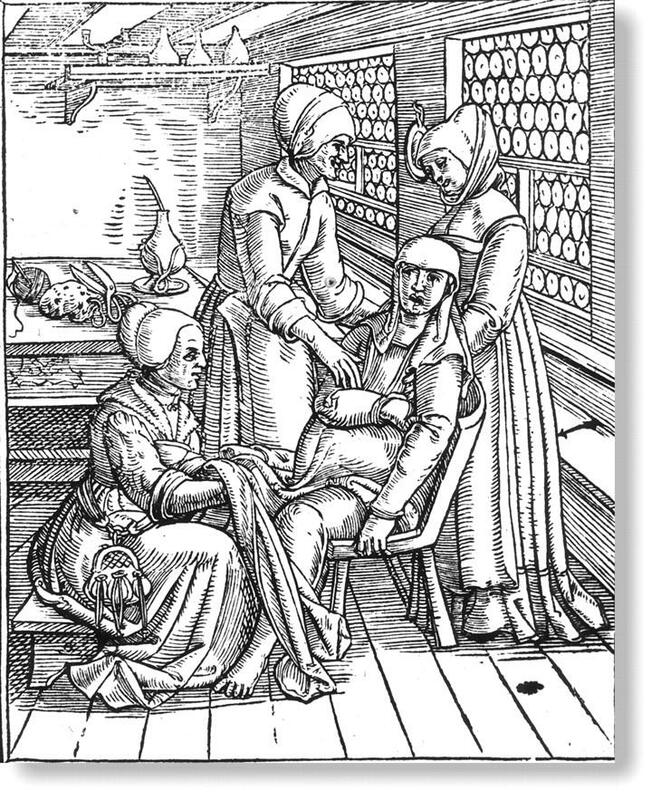 16th century woodcut of woman giving birth. The chair is sloped to allow her to lean back. Birthing attendants also used various positions during labor, as in this 19th century image, which shows an American frontier scene, with the husband holding his wife in a half seated, half leaning position as the midwive and two female companions assisted with the birth. No one recorded precisely how many hours Mrs. Austen took to deliver baby Jane, but one can imagine that during her labor a cozy fire warmed the bedroom on that bitterly cold night, twine and scissors lay on a nearby table, plenty of fresh water and linen rags stood at the ready, and baby linens were laid near a cradle. Jane’s birth, which was expected in November, was swift and uneventful. Soon after she entered the world, baby Jane was cleaned, dressed and placed next to her mother in bed or inside her cradle, and wrapped snugly in a long quilted gown and a mantle. On April 5th, baby Jane was formally christened in St. Nicholas church, wearing a square-necked, sleeveless gown of fine cotton that probably opened in front. She would also have been wrapped in a pretty christening blanket. 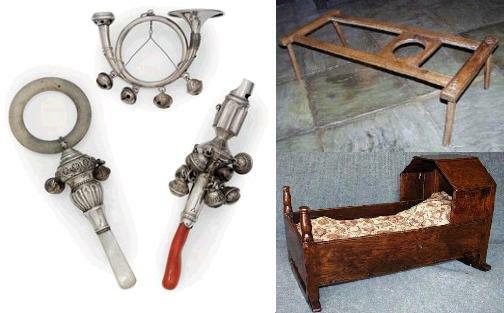 18th century silver rattles, baby walker, and oak cradle. 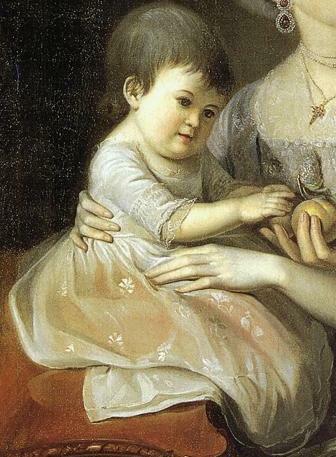 In 1775, fewer babies were swaddled, but the practice took a long time to die off. During this age of Industrial Revolution, ready-made baby items became more easily available and affordable. 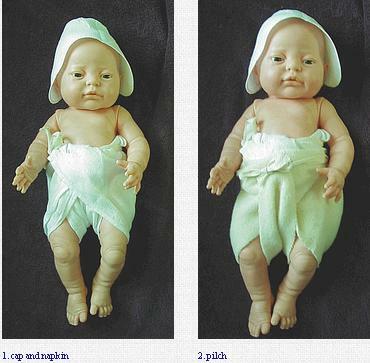 Childbed linens and baby clothes could now be purchased in shops or warehouses. 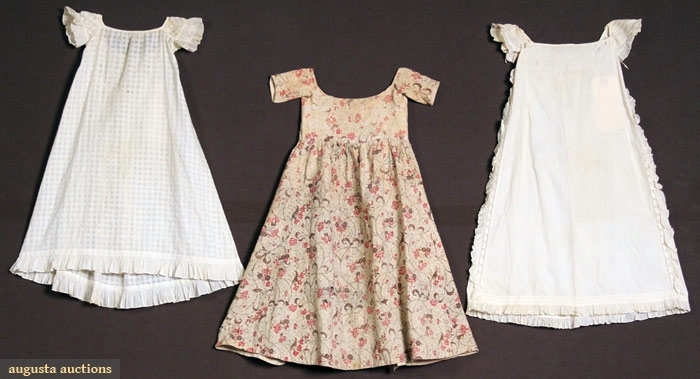 Recycling of old clothes and cloths was definitely practiced, and it is without doubt that Mrs. Austen re-used Cassie’s outgrown clothes and bedlinens for baby Jane. 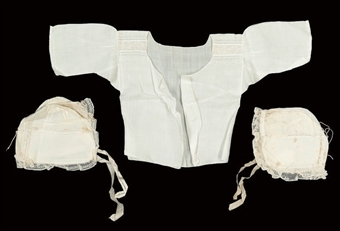 Aside from needing a goodly number of clouts, the Austens would already possess most of the baby items their tiny daughter would need. A day after giving birth to baby Jane, Mrs. Cassandra Austen was pronounced out of danger. Finally able to relax (even from her daily duties, which were overseen by friends or her sister-in-law, Philadelphia, perhaps) she would begin a lying in period to regain her strength. The mother, while resting during the lying in period, would be visited by her female friends, who would help look after the baby or help the mother through the grieving period (if the infant died.) This lying in period traditionally lasted a month, but for some sturdier (more impatient) mothers this period would last only a few weeks. Mothers whose infants died might not emerge for several months more. Ever the good hostess, biscuits and tea would be served to entertain visitors at set times. 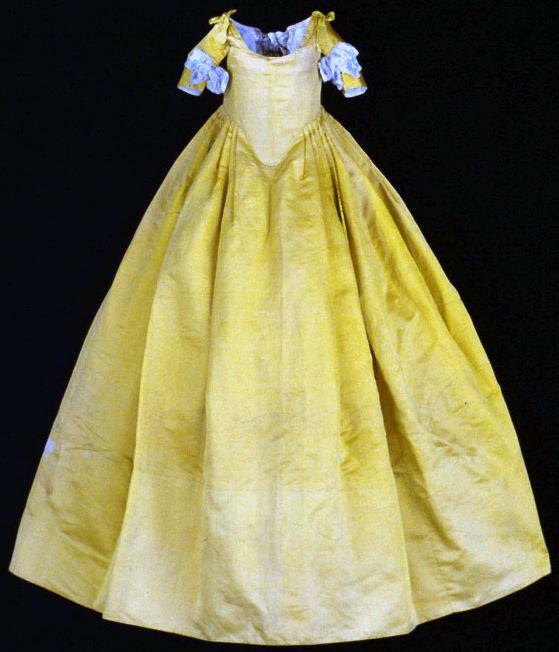 Mrs. Austen would open her short gown (which fastened in front) and suckle Jane. But as with all their children, the Austens would send the new baby away to be fostered, a remarkable act of faith in a year when almost half of the more than 20,000 recorded deaths in England were those of infants. I have read articles in which a contemporary writer asserts that a Georgian parents’ grief over a child’s death was not as acute as ours, since so many infants died during that period. But much historical evidence shows that such a sweeping statement is simply not true. Georgian parents loved their children as much as today’s parents and grieved deeply for them. While they were painfully aware of the horrendous mortality rates for infants, this foreknowledge did not assuage their profound sense of loss when a child died. 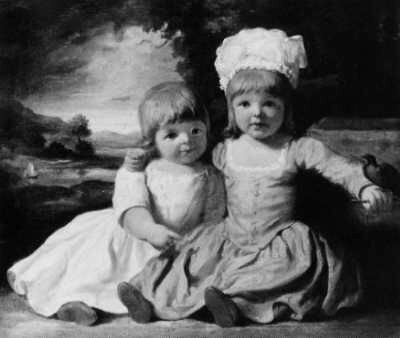 Despite the possibility of their child not surviving infancy, the Austens had been in the habit of sending their children away just three months after their births to “a good woman at Deane”, a village close to Steventon. Giving a child over to a wet nurse had once been a common custom, but by 1775 this habit was fading as fast for the gentry as the use of a midwife. 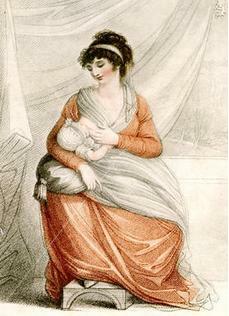 For the first crucial months, however, Mrs. Austen would breast feed baby Jane and take care of her personally. Baby Jane’s first winter on earth was bitter cold. Gilbert White noted that severe weather, with severe frost and snow, affected most of Europe from 9th Jan through 2nd Feb, 1776, and that the Thames was frozen for some time. A stormy February followed. The prolonged cold spell was broken by interludes of mild temperatures and melting snow, but these did not last long. 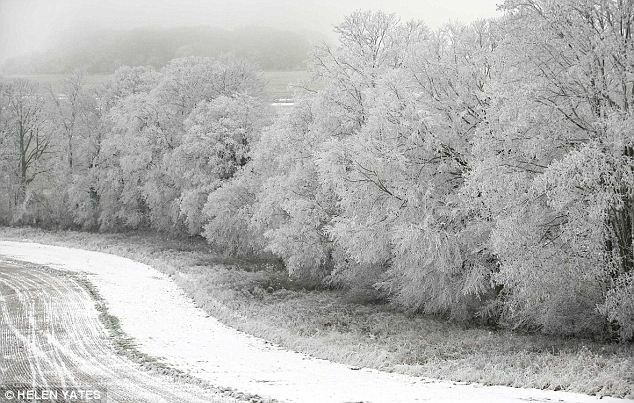 Snow fall was often considerable, with frequent drifting, and daytime temperatures often dipped below freezing. 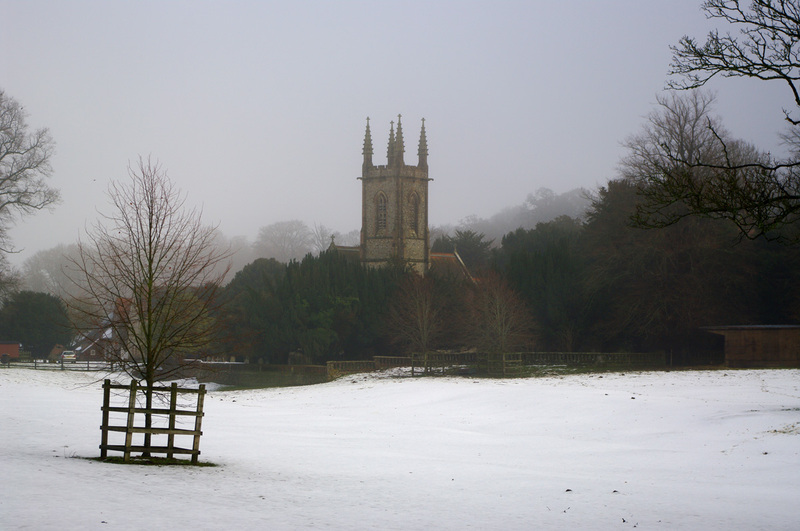 Author Irene Collins in Jane Austen, The Parson’s Daughter, identifies “the good woman at Deane” as Elizabeth Littleworth, the wife of a farmworker at Cheesedown, located between Deane and Steventon. These country folks remained close to the Austens for years, for in 1789 Jane acted as godmother to their eldest grandchild and stood as witness to the wedding of John Littleworth’s brother. Like the Martins in Emma, the Littleworths belonged to a lower social station, and the Austens, however grateful for their services, would not have socialized as equals with them. The Austen children stayed with the Littleworths until they started to walk and talk and could “be regarded as rational beings.” Henry returned to Steventon Rectory at fourteen months, and Cassy and Jane were returned when they reached two years of age. When baby Jane was ready to walk and crawl (about the time when she would be returned to her family) her mother would change her out of long clothes into short clothes. Short clothes were ankle length and allowed chubby legs the freedom of movement they needed to practice toddling. 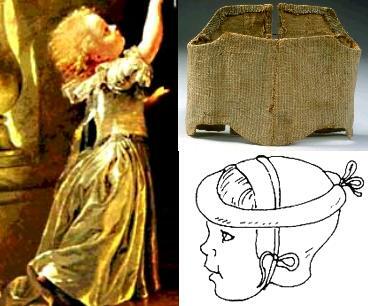 Toddlers also wore clothes with “leading strings” and pudding caps, which were padded. 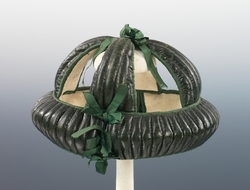 These caps, a sort of bumper guard, if you will, prevented injury to a toddler’s head if it fell or bumped into objects as it learned to walk (or so it was hoped). Toddler Jane and her older sister Cassie also wore corsets. Yes, you read the word correctly. 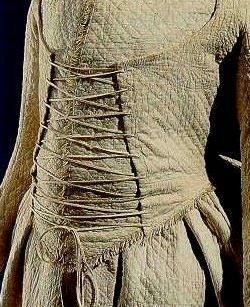 The tiny corsets, stiffened with cardboard, were thought to promote posture and help with walking. Since these early days, tiny Cassy and baby Jane, barely three years apart, developed a lifelong bond. Cassy most likely played with her younger sister as she would a doll and looked over her. By all accounts, their childhood at Steventon Rectory was happy and relaxed, with the children called by pet names, eating meals at the table, and visiting friends and relatives with their parents. Luckily for the Austen children, attitude towards childhood had begun to change and children were no longer dressed or perceived to be small adults. They were allowed to dress as children and, if they did not live in dire poverty, live a relatively carefree childhood compared to the children from generations before. 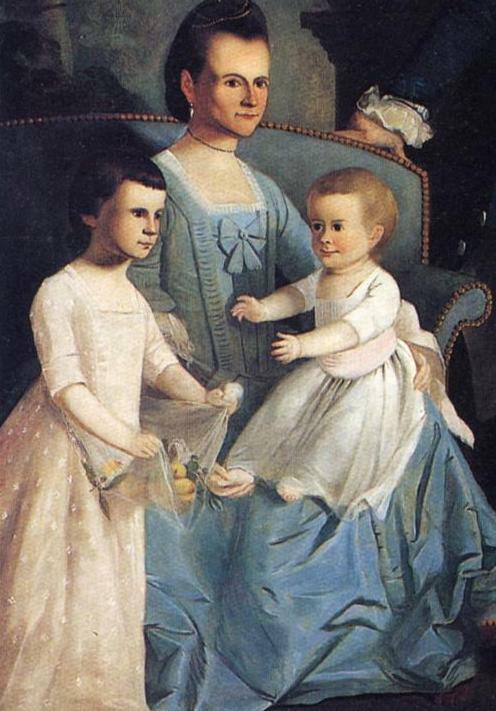 Would Mrs. Austen and her two daughters have resembled the Archibald Bulloch family? Painted in 1775 by Henry Bendridge, High Museum of Art, Atlanta. Even rarer than a first edition of a Jane Austen novel are images taken of her during her short lifetime. A small watercolor by her sister Cassandra has been reworked over the centuries to make Jane look more attractive. Another watercolor image taken of Jane’s backside as she sits in the grass, a dark silhouette, a small watercolor by James Stanier Clark, and a portrait of Jane at 14 (the validity of the latter two are in question) are all that we have to go by. Verbal descriptions of Jane Austen are also quite rare, and some seem to contradict each other, a few relatives and friends thinking her quite pretty and others declaring that her looks were rather ordinary. 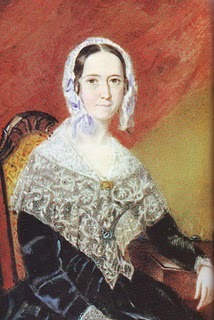 In 1864, Anna Lefroy, Jane Austen’s niece and James Edward Austen-Leigh’s sister, wrote her memories of Aunt Jane in a letter for Edward’s memoir. She apologized that her recollections were so shadowy and that she was unable to grasp anything of substance. She did recall that Jane and Cassandra wore pattens when they walked between Dean and Steventon in “wintry weather through the sloppy lanes”. Pattens, or shoe coverings that protected delicate shoes, were worn by gentlewomen at that time, but they would soon go out of fashion. Anna also described Jane as having a tall and elegant figure, and a “quick firm step,” an observation that she shared with others. Anna goes on to relate one particularly sweet family story of a 7 year-old Jane and her 3 year-old brother Charles greeting Cassandra, who was returning from a visit with Dr. and Mrs. Cooper at Bath. Jane and Charles had toddled down the lane “as far as New Down to meet the chaise, & have the pleasure of riding home in it.” While the popular perception was that Jane and Cassandra were inseparable, they spent a great deal of time apart. Young Cassandra frequently visited the Coopers in Bath, and as an adult became a regular guest at Godmersham, her brother Edward’s estate. 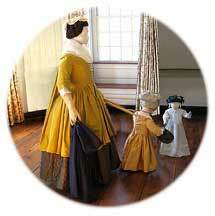 She was a favorite with the family there, but the young Godmersham children were not quite as fond of Jane. This was not the case with the Jane’s other nieces and nephews, all of whom liked her exceedingly as a playfellow and a teller of stories. In her letter, Anna bemoaned the loss of Jane’s verbal stories, those “happy tales of invention” that she wove out of nothing. Anna concludes, as Cassandra’s portrait attests, that Jane failed to be a decidedly handsome woman. Seventeen years younger than Jane, one wonders if Anna was thinking of an older, more mature Jane, the one who had taken to wearing caps at all times, rather than a younger and prettier Jane with bright sparkling eyes and full round cheeks. What Did Jane Austen Look Like? Le Faye, Deirdre. 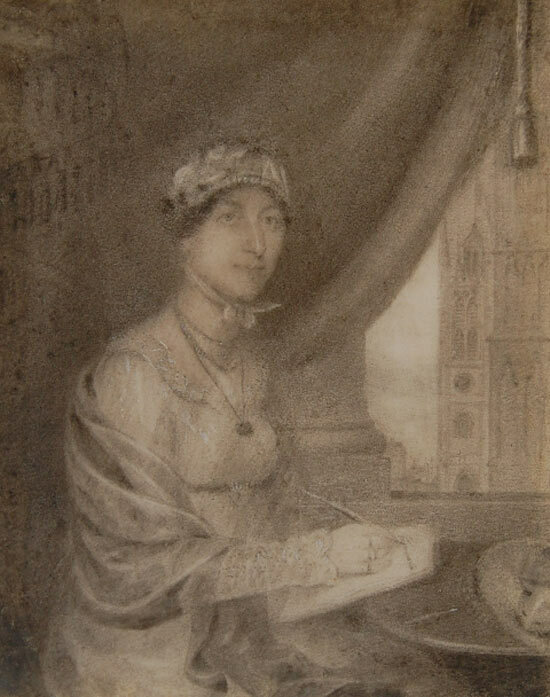 Anna Lefroy’s Original Memories of Jane Austen. The Review of English Studies, New Series, Oxford University Press, Vol 39, #155 (Aug, 1988), pp 417-421. 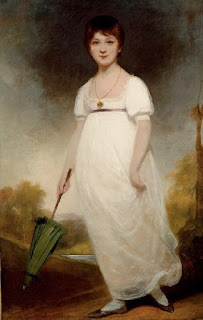 This link to All Edges Gilt features a Johann Zoffanny illustration of Jane Austen based on a disputed painting, the Rice portrait by Ozias Humphry. Zoffanny’s fronticepiece is found in a 1906 publication of Sense and Sensibility. In Johann’s clumsy drawing, Jane’s head is too large and her feet are too small. The rest of the proportions are close enough. Humphry’s portrait famously failed to sell at a Christie’s auction in New York in April, 2007. For the rest of the story, read: Is this really a portrait of Jane Austen?